When Obi Wan felt a disturbance in the Force it wasn't because Alderaan had just been destroyed. 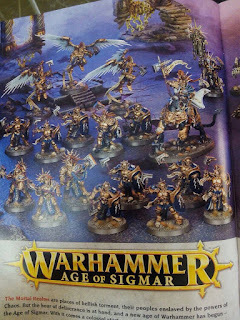 All those voices crying out in terror weren't afraid of the Death Star, nope, they had just seen the leaked images from the upcoming Age of Sigmar release. Yes Mr Kenobi, something terrible has indeed happened. I was livid on Friday evening and it took the better part of yesterday to calm down enough to form coherent sentences for this article, so here goes. I guess that I should start with the positives (Ed. really there are positives in this release?) but I can only really think of the one. 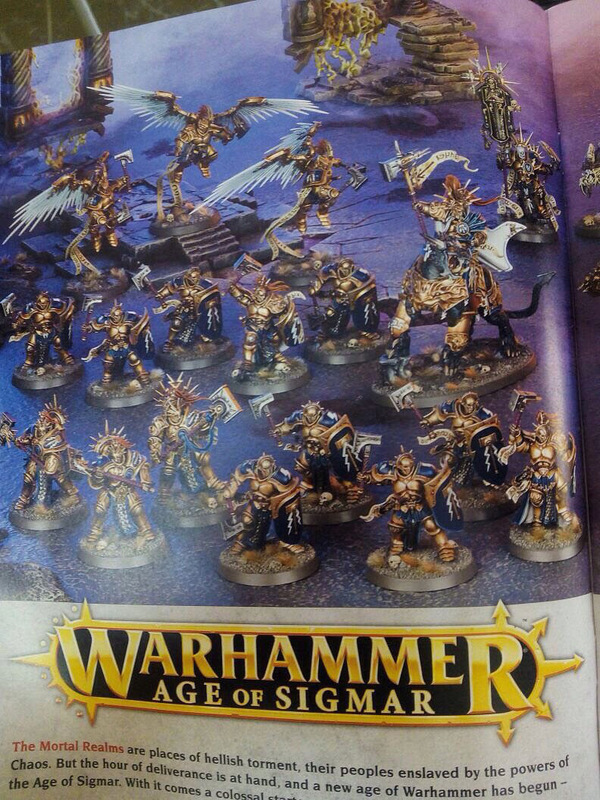 The sculpts are nice. They aren't really fantasy but they do look pretty cool if you take them independently of everything else. I imagine for anyone new coming into the hobby they would look like an attractive project to start working on. But for me, and another other long term Warhammer Fantasy gamers, if I wanted to play Blood Angels I would have used them in the 40k setting. As a note, I do have a Blood Angels army but as GW see fit to make them weaker than most other Space Marine chapters they aren't a very appealing force to put down on the table, but enough of my 40k army talk. Honestly, I was surprised when I saw a close up of the guy riding the griffon/panther/lizard hybrid and it wasn't Commander Dante. 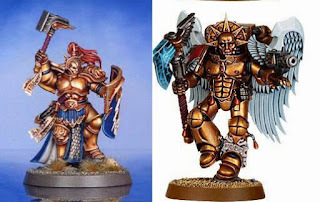 I can only assume that a plastic Dante model will be in week 2 of the release along with some new Death Company models. GW's newest game - 40K or Fantasy? On the Chaos side things don't appear to be getting much better. 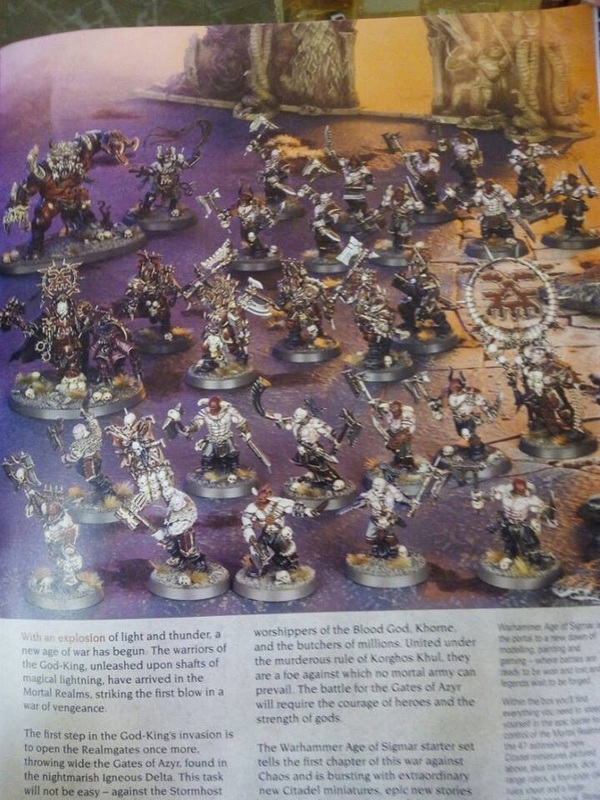 I can only assume that the Hellbrute model is either selling really well, or really badly, because they have decided to create a fantasy version of it. What I can only guess is the commander of this force appears to be wearing terminator armour and all of the regular troops appear to have been rejected for the part of Bolg in The Hobbit. Now I really wish this was the part where I could turn to the long term fantasy players and go, but here is where it gets better. Really, I wish I could. Unfortunately, the light at the end of the tunnel appears to be getting further and further away. If you are a fan of the lore of The Old World then you may want to turn away now. I think we all knew at the conclusion of the End Times that the old world was gone, but I for one didn't expect all of the lore to go up in smoke with it. When Mannfred decided to screw over all of the Incarnates he also screwed us over at the same time. From what little I have seen and heard "Bubble-Hammer" does indeed appear to be the route GW are taking. 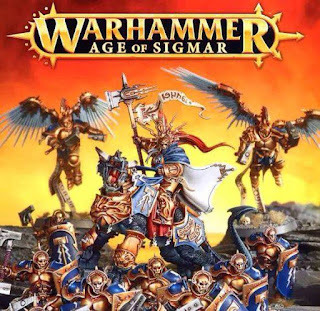 The setting for this set that is being release is that Sigmar's knights (AKA the Blood Angels) are jumping through one of the portals to take the fight to Chaos and free the other realms. Every WFB player's nightmare is coming true. Perhaps one glimmer of hope is that someone has mentioned catching sight of a map in one of the books for this new release and it does appear to show the old world... Although there are some changes. Some of the Empire's cities still stand but others have gone, and Ulthuan has completely disappeared which would suggest that it is set some time after the end of End Times: Khaine. I haven't seen these images myself so I can't verify their accuracy but considering how everything else has gone I wanted to share something with you that may yet give us hope. To wrap this up, there is someone I know at GW and they have never lead me wrong before. They have advised me not to panic, that this one set doesn't make up all of the release and GW won't throw 30 years worth of models and investments down the drain in July. But, even with his comforting words I am still finding it difficult to be positive about these changes. I'm not opposed to change but I also can't help but feel that change is not always a good thing. I guess I will just have to be like that lone figure at the end of Archaon, holding on to that glowing orb of hope for dear life and maybe, just maybe, it won't be as bad as we all fear.